Custom Military Service Recognition Tags - KA Industries, Inc.
Show your patriotism by recognizing the men and women who have served in the military! 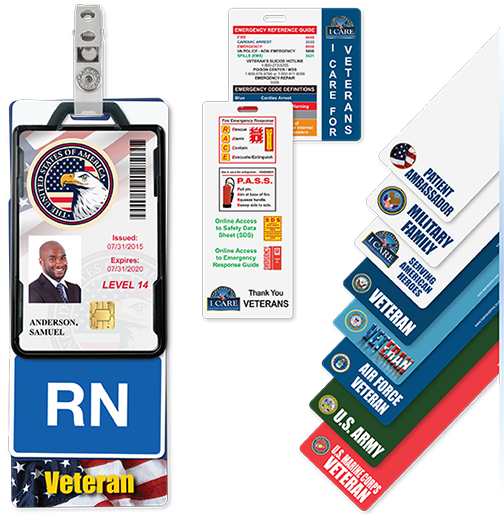 Recognition hang tags can be custom printed to include the military branch insignia, purple heart award, branch of service name or VETERAN designation in any color combination including red, white and blue patriotic text. HANG TAGS ARE CUSTOMIZABLE WITH YOUR CHOICE OF TEXT, COLOR, AND IMAGE.